I woke up early this morning. Very early, considering that I went to bed late. Not a good combination; but that's what happened. I was excited to go to the "master gardeners' sale" and so I decided to go ahead and get up, despite being short on sleep. I figured I could nap later. First we had to go to the post office so my partner could mail copies of her book to people who'd bought them at the art retreats earlier this month. She had a huge stack of books in envelopes - all personally signed, and she needed help. So post office. Then coffee (I'm still only drinking decaf; but even that minor amount of caffeine was needed today). 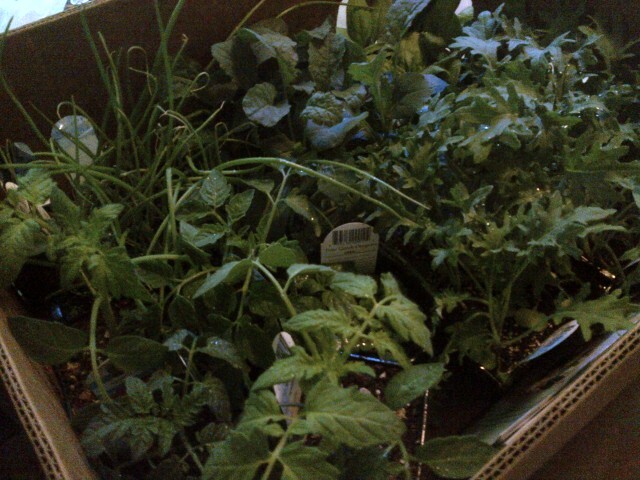 And then on to the plant sale. They were out of a few things - but they had the primary plant starts I wanted: kale, spinach, tomato (large and cherry and pear), and a few other miscellaneous edibles. 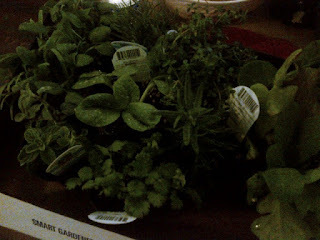 We also picked up some herbs for one of the half whiskey barrels. We dropped the plants off at home and gave them a drink of water. After taking Dexter out for dinner and a walk, we returned home and I started setting out the plants where I wanted them in the beds and planters. And then we did it. All of the plants are in the ground, watered, the tomatoes covered with their cages. It looks great and it was fun to dig around in the dirt a bit. I'm going to have to remember to water the plants every day this week before I go to work, since we have unseasonably warm temperatures predicted (hovering around 80; this is definitely more like summer weather and not our typical spring at all). I just finished reading the "21 Moments" prompt for today and am going to write the moment as soon as I'm done here. Or maybe this is my response to the prompt. Yes, I think that's it. It's not what I intended it to be - but perhaps it is. I think I am growing a new writing garden along with the veggies and herbs in the back yard! Oh - and my food dehydrator arrived today. I haven't dried anything yet and it might be a couple of weeks now before I do. I have a couple of interpreted plays coming up in two and three weeks, so I probably don't have time to actually do it until after those two shows are done. Or maybe I'll try something the weekend between the two shows.